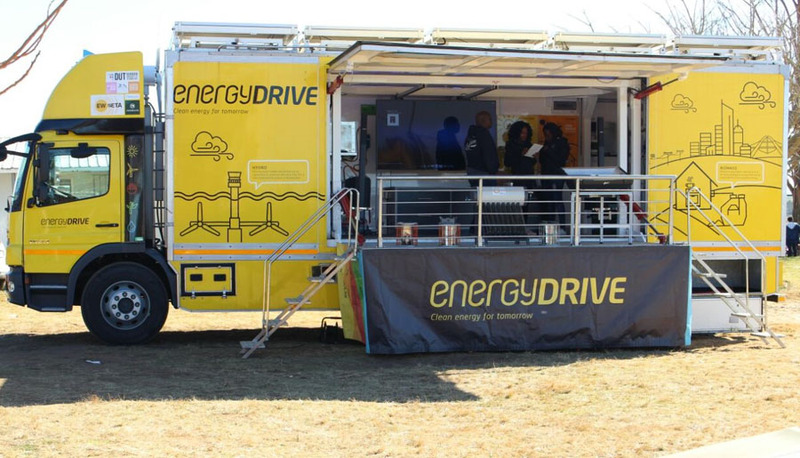 The custom-built EnergyDRIVE truck arrived in the Northern Cape on the last leg of its three-week educational road trip around the country. Having already interacted with thousands of learners located in wind farms beneficiary communities, the interactive vehicle aims to raise awareness of renewable power resources and climate change. Participating wind farms, Khobab Wind Farm, Loeriesfontein Wind Farm and Noupoort Wind Farm have funded this leg of the road show as well as hosting field trips for participating learners. 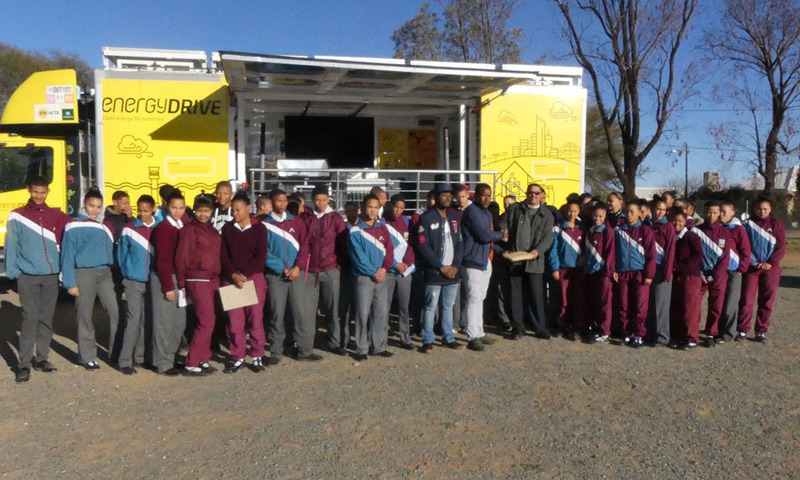 The first Northern Cape school to be visited by the EnergyDRIVE truck was Loeriesfontein Hoerskool, after which 20 learners between grades 10 and 12 had the opportunity to visit Loeriesfontein Wind Farm where they were able to deepen their understanding of renewable power and its benefits. From there, the truck will be hosted by Noupoort Wind Farm and they will visit Noupoort Gekombineerde Skool. Featuring a solar roof structure, biogas digester, photovoltaic panel display unit as well as a solar hot water display unit, the EnergyDRIVE teaches learners about the benefits and uses of renewable energy technologies. By the time it wraps up its visits in the Northern Cape and circles back to KwaZulu Natal, it will have engaged with thousands of learners and over 40 schools across the country. 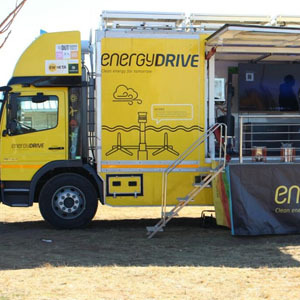 “The EnergyDRIVE vehicle is ideal for reaching outlying areas such as this, where communities are not easily accessible and learners do not easily have access to information about these technologies,” explained Vanessa Fredericks, Economic Development Manager for Loeriesfontein Wind Farm and Khobab Wind Farm. “The truck features interactive demonstration models which make it easy for learners to understand a range of renewable technologies,” she added. The EnergyDRIVE project is a partnership between South African Wind Energy Association (SAWEA), the Durban University of Technology and the Council for Scientific and Industrial Research (CSIR), all of whom have worked together to make this national educational road trip possible. The mobile unit departed from Durban on 30th July, making its way through the Eastern and Western Cape before arriving in the Northern Cape on 16th August and will circle back to KwaZulu Natal on 19th August, having spent time in host renewable energy communities along the way.